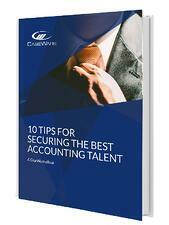 It’s no great secret that the accountancy profession has hit a recruitment rut. In recent years, the number of graduate recruitment vacancies has gone up across several industries, however a striking number of graduate positions in the accounting and auditing sector remain empty. It is now crucial for businesses to do everything possible to entice the best candidates available. Our latest eBook documents several key factors that will enable your company to attract new candidates whilst safeguarding the satisfaction of your current employees.